Compact design & fast, efficient performance. 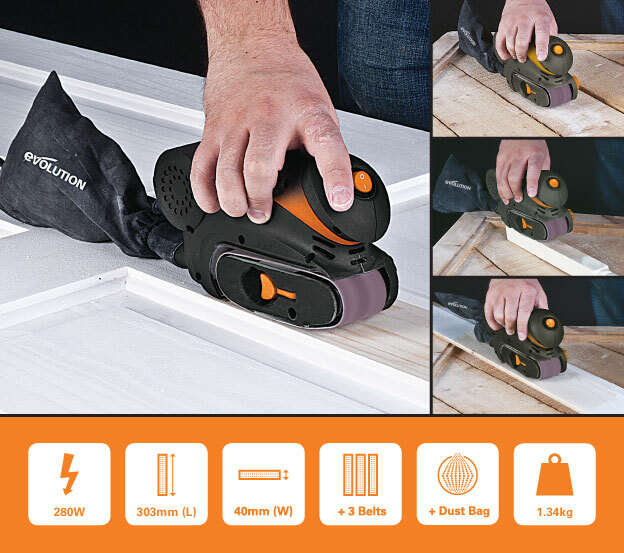 Designed to fit neatly in the palm for single-handed use, this compact sander is ideal for the fast removal / smoothing of a variety of materials, including wood and plastics. 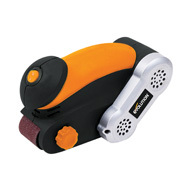 Features soft-grip area for enhanced user comfort and its compact dimensions means it will easily fit in a toolbox. 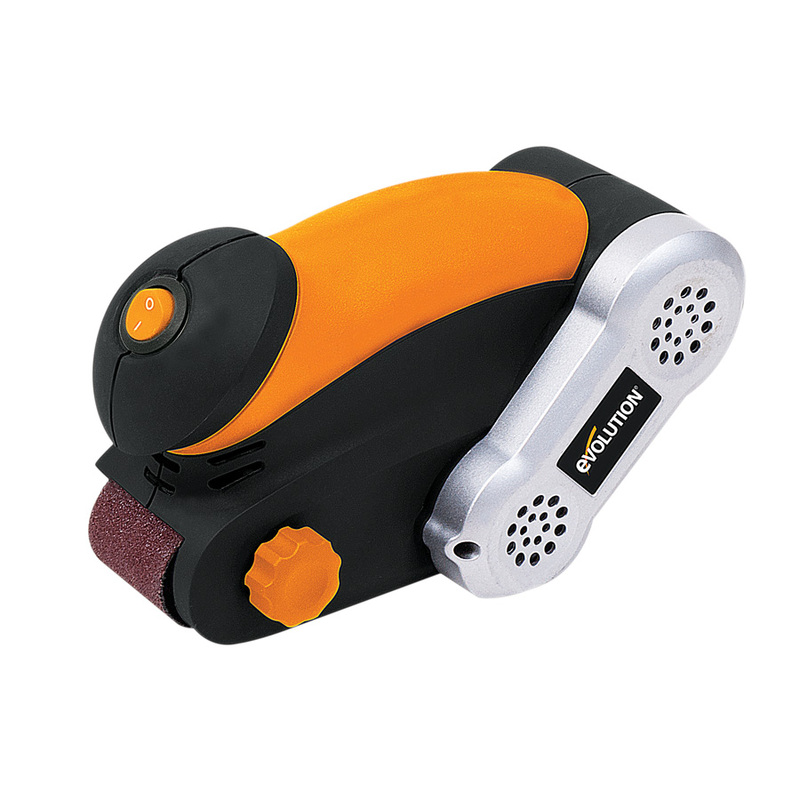 Adjustable belt tracking enables the sanding belt to be easily re-centred. Also features dust sealed bearings and components to maximise the life of the product. Three sanding belts are included in a variety of grades, ideal for wood and plastics. The coarser paper grades remove the unwanted material faster and with less effort. Supplied with a dust bag for effective dust collection, when sanding wood, plastics or removing paint.